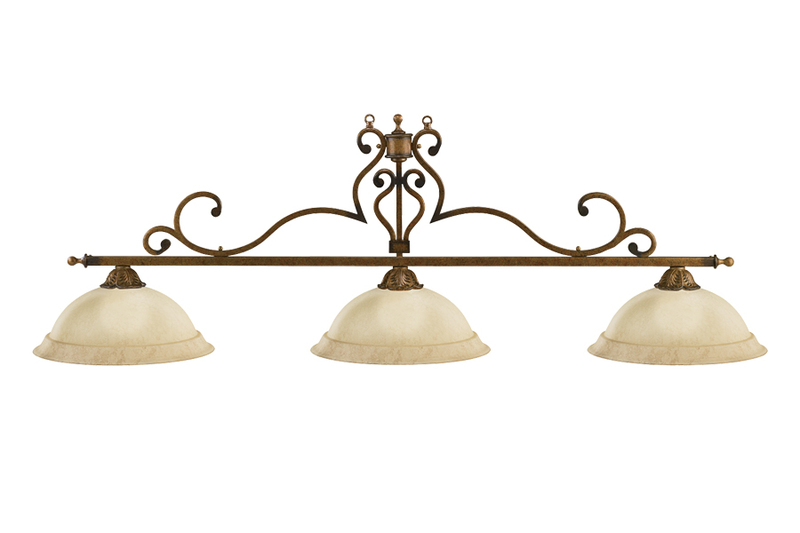 The LP-DS250 is a stunning Wrought Iron light with a Mocha Bliss with Chocolate Rubbed bar and Frosted Amber glass shades. Makes any room more charming. Available in 3-Shade version only.